Print on demand printing and distribution services. A division of Ingram. Bookmasters, based in Ashland, Ohio, is one of the largest providers of customized publisher services in the United States. Top 1% of printers in the nation with facilities in Montgomery and Birmingham. Print on demand and offset printing. Focused on sustainability in the manufacturing of high quality print materials. After 28 years, a printing company should know how to not disappoint the people who place faith in them. We only accept jobs we know will make you satisfied when our work is under your review. Whether our customers need a small print run, supported by our short-run digital print technology—also called Print on Demand (POD) or their needs are better suited to direct-to-plate offset technology, DeHART’s offers complete print solutions—including complementary products, software manufacturing, and packaging—to meet our customer’s requirements. Beginning in 1899 as a commercial printer, Bang Printing has successfully evolved into a leading book manufacturer. We offer complete printing, binding and fulfillment services at a competitive price. Dot Graphics has been connecting the dots for more than 20 years, we offer a multitude of options for your project including sheetfed and web presses, short run digital printing, as well as complete bindery, mailing, and fulfillment services. At Lorna Johnson Print! we produce custom books, calendars, boxed notecards, catalogs, and more for self-publishers, authors, small businesses, and book publishers. We’re proud to offer locally-made paper goods that reinforce our commitment to artisanry, quality and sustainable business practices. The nation’s premiere source for short-run book production. SOP is an award-winning print company with high end reproduction quality, and the versatility to print anywhere from a few hundred copies to over a million. With over 35 years of experience and a vast network of resources, Sustainable Print and Mail offers many advantages not found with large and impersonal corporate printers. Think’s printing plants are strategically located domestically and overseas to provide you with quick, convenient, and cost-effective solutions to satisfy your printing and distribution needs. Services include: Print and Publisher Consulting (Book Shepherd) Offset printing – web/sheet fed, POD, Commercial and offshore color printing. We can manage any kind of printing that is needed including (but not limited to) flyers, brochures, posters, training manuals, door hangers, pocket folders, stickers, business cards, carbonless forms, banners, calendars and much, much more. At Snowfall Press, we print the book you want without making you fit into someone else’s template. Crane manufactured the first Bound Galley, the first Short Run Book, and is the largest Bound Galley printer. Also, Crane was the first printer on the Internet, first with online quotes, and is well known in having the best customer service in the trade. Printed, bound, trimmed and ready to ship in 5-7 business days! we are specialists in short or large run, softback and hard cover offset book printing in both black and white and color. High quality paper, the most modern commercial presses and binding equipment along with highly skilled labor makes InterPress a leader in the print industry. With over 20 years in the printing industry Mike McCoy brings his expertise to work for you. We print books, magazines and a wide array of publications for publishers worldwide. Our printing presses can accommodate 16pg signature sizes for the general magazine and newsletter sizes. For digest magazines and book printing we utilize 32pg signatures. The foundation of our longevity is based in using quality products, first class service, and competitive pricing. Our products range from digital commercial printing and fulfillment to book production. 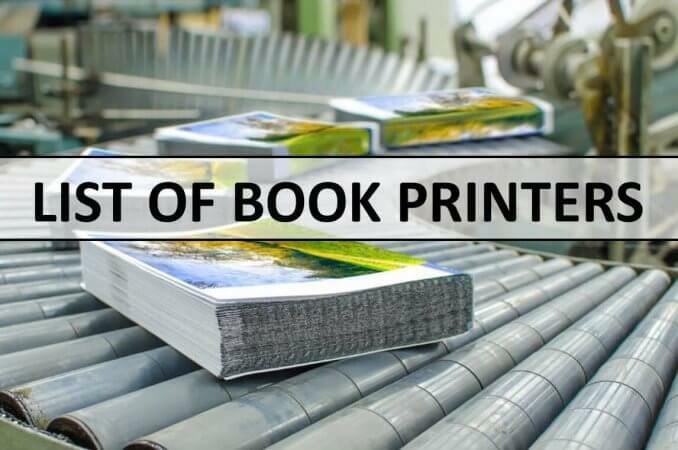 Rose Printing has evolved into the source for hard and soft cover books, magazines, catalogs and mailing services. For more than 59 years, we have manufactured quality books at superb values, serving all kinds of publishers and industry leaders, from large New York publishers, religious institutions and university presses, to self-published authors, associations and small businesses. The authority in book printing & self-publishing for over 40 years.